Hosting + Security + Backup = your entire site is covered, giving you PEACE OF MIND. Maintaining your WordPress website can be tedious and technical so let me do it for you, so you can do what you do best, run your business. The benefits are peace of mind and no work for you! WordPress website hosting and maintenance plans are provided as a value added service for my clients. These plans complete my WordPress website packages. It’s not my goal to be the next GoDaddy, but to provide a secure home for your site that is well looked after and meets your web hosting and maintenance needs. Personal, detailed service is what sets me apart from the typical managed website hosting services. Simple as that. 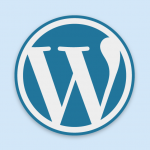 WordPress has major updates and several minor updates each year. If you ignore WordPress core, theme and plugin maintenance you’re asking for trouble. Security risks grow, and your site becomes open season for hackers. It starts to run slow, or a plugin update crashes your site. All this leaving you in panic mode needing help NOW! Keep your website secure, fast and up to date by having a WordPress maintenance plan. As the saying goes, “pay me now or pay me later”. The word “unlimited” when it comes to web hosting, never really means “unlimited”… click here to Google it. Let’s just say that you’ll have plenty of bandwidth, storage, emails, ftp accounts and databases to meet your needs. All this on fast SSD drives. I can reallocate storage and bandwidth if needed. So if you become the next Internet sensation and your website visits go crazy, we’ll talk about any additional charges then. I also use cPanel the most popular web hosting interface in use today. Many people don’t realize that a domain account is separate from your website hosting. If your domain expires, your site goes down. I’ll register and renew your domain so you don’t have too. It’s important to backup your WordPress site in more then one place. I provide redundant back-ups of your WordPress database as well as your entire site. Additional back-up destinations protect you and keep your website files safe. Have an “oops”. I’ll restore your site from the latest back-up. If restoring the site does not fix the problem and additional work is required my hourly rate may apply. WordPress has major updates and several minor updates each year. If your site is out of date you are vulnerable to security risks and your site could get hacked. Or you could have a compitablity problem with a plugin. I’ll keep you up to date and make sure everything is “playing nice”. WordPress allows you to add features to your site via 3rd party plugins. Every plugin update runs the risk of conflicting with another plugin or the latest version of WordPress or your theme. I take proactive steps to insure you’re good (and backed up). I offer up to 1 hour of compatibility support. If I can’t address the issue within that time (or the plugin developer goes away), I will keep the current version and contact you with recommendations. My WordPress website packages start with proactive security measures right from the start, from the server right down to your theme. However security monitoring is key to protecting your site and your reputation. I will configure and monitor your site with the latest security software to make sure your protected. Monitoring your websites uptime and performance will give you peace of mind. You and I will be the first to know when your website is down, and you’ll stay on top of your website’s performance.Included with my premium WordPress hosting and maintenance plan only.Contact me if you need to add this to another plan. Malware (malicious software) can mess with your website, collect data or even take control of your computer. I’ll do regular scans to protect your website and recommend additional protection measures should a problem arise. I’ll keep an eye on your site to make sure there are no problems, so you can get your work done. Depending on your plan, each month you’ll receive a report with the backup and version status of your WordPress website and plugins. The premium plan also includes an overview of your Google analytics account. Each plan offers a block of time to be used however you want, fixing a problem, updating your site, SEO consulting, or installing a plugin. Whatever you need I’m here to help. You can also purchase a block of hours at a discount or work out a retainer plan. Contact me to discuss your specific requirements. Hours do not roll over into the next month. Okay, so your happy with your website hosting, but still want someone to do your maintenance. As long as your current website host has the “home” that WordPress was made for, ( i.e a good performing Unix Server ) I can still help you out. Contact me for a custom WordPress website maintenance plan. Hi, my name is Jeff RIchards and I specialize in WordPress and the Genesis Framework. I help businesses take their web presence to the next level. How can I help you ? Get the whole story on me here. Get helpful info, tips and advice on a variety of topics that will help you build a strong web presence. Stay up to date... sign up today!